Having the right edge trim can make a huge impact on any project; Trim-Lok manufactures edge trim in a variety of dimensions and edge thicknesses to meet the unique needs of your DIY project. 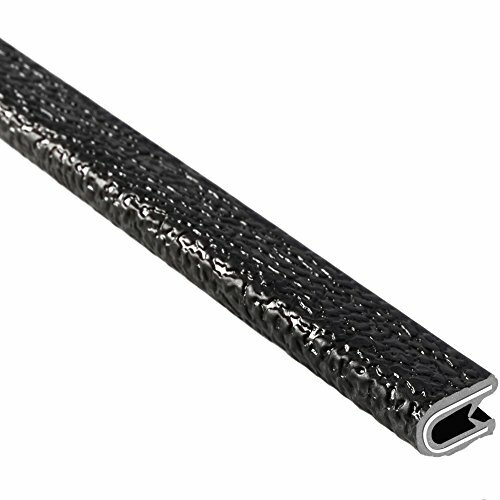 From decorative trim and fire-retardant trim, to sewable upholstery trim and fender flare trim, our edge trim is made for various applications such as van doors, boats, golf carts, helmets, truck cabs, riding mowers, computer cabinets, fiberglass, machinery guards, sheet metal, playground equipment and much more. A metal core adds strength and stability to the extremely durable PVC vinyl edge trim to create the perfect edge. As you push this edge trim into place, its fingers grip the edge to keep it secured. With a non-rusting aluminum and weather-resistant outer PVC material coating, the edge trim can be used outdoors and is designed to last against the elements. Materials are hard and sturdy with an 85A durometer rating. If you’re looking for a protected edge with excellent resistance to sunlight, water, and the ozone, and a strong, outer coating material, look no further than Trim-Lok’s edge trim. WIDE RANGE OF APPLICATIONS on marine, automobile, machinery, and equipment cases - including uses on boats, vans, forklifts, golf carts, helmets, playground equipment, and more!